Tania joined us here at Hire plants in March 2015 bringing with her prior industry experience in plant hire and maintenance through her nursery work. 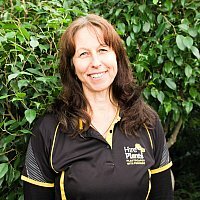 Tania is part of the team that services client sites across Auckland and is known for her care and work ethic. Enjoying both gardening and fishing in her spare time it is no surprise that Tania would like to be a coconut tree if given the option as they 'grow tall and live in the tropics'!